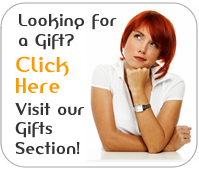 Receive 3 booster packs. Set includes 45 cards (1 GR, 5 RRR, 7 RR, 14 R and 18 C) + 1 SGR (Parallel) card + 13 SP cards + 13 WSP (Wedding SP) cards. There are 44 new cards + 1 reprint. Includes further support for the Bermuda Triangle clan. Each pack contains 7 cards, of which 2 will definitely be R or higher! 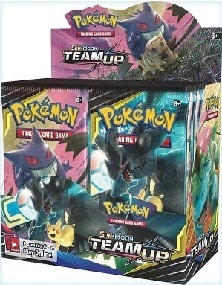 Receive 3 booster packs, each pack contains 3 random cards. The collaboration between Touken Ranbu -ONLINE- and Cardfight!! 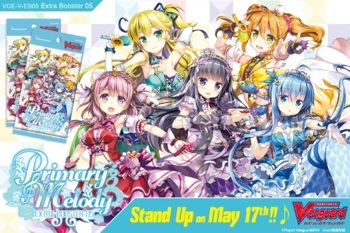 Vanguard makes its appearance in the English edition! Featuring the exquisite illustrations from the original game, the classical world of Touken Ranbu will be represented through the Vanguard game system. All 42 of the initial Touken Danshi are included! Let the blossoming sakura flowers take you to ancient Japan, as you rally your troops to protect history! 42 types of cards (GR: 1 / RRR: 5 / RR: 8 / R: 11 / C: 17) + SP: 5 [Parallel]. Every pack will definitely have one R, and an additional R or above! 1 pack contains 7 random cards. Receive 3 booster packs, each pack contains 5 random cards. 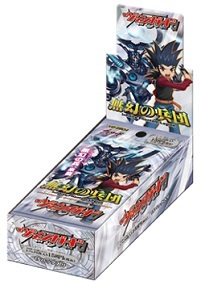 G Booster Set 2 Generation Stride includes 103 cards (1 GR, 8 RRR, 12 RR, 22 R and 60 C) + 12 SP (Parallel) cards. 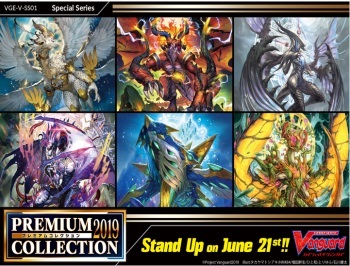 Includes further support for the Gear Chronicle, Royal Paladin, Aqua Force, Neo Nectar, Great Nature and Narukami clans, as well as Cray Elemental cards. ?Introduces the keyword Resist. 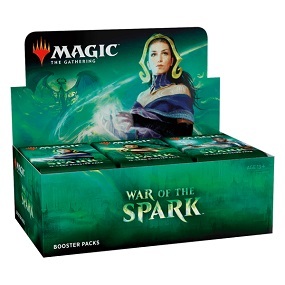 Receive 3 booster packs, each pack contains 5 random cards. Infinite Phantom Legion contains a total of 35 different cards (2 RRR, 5 RR, 8 R, 20 C + 2 SP). 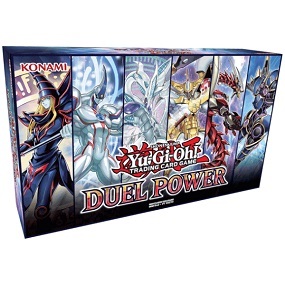 This set features 5 new Death Army units, 1 new Raizer unit and reprints of important Nova Grappler units. 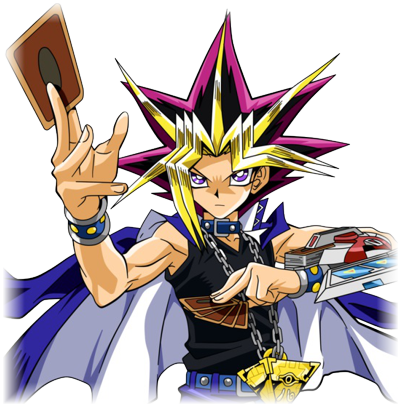 Cards are used by Kamui Katsuragi and Nagisa Daimonji in the Asian Circuit Arc. Receive 3 booster packs, each pack contains 5 random cards. 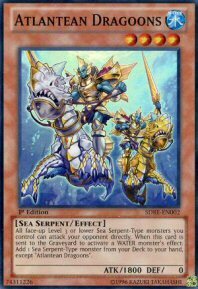 Blue Storm Armada includes support for Aqua Force, Neo Nectar, Dimension Police, Tachikaze, Narukami and Great Nature as well as more cards with Limit Break. There are a Total of 102 different cards (RRR x8, RR x12, R x22, C x60) + SP cards x12 (Parallel) in the set. 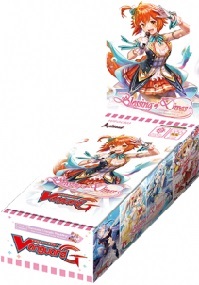 Receive 3 booster packs, each pack contains 5 random cards. 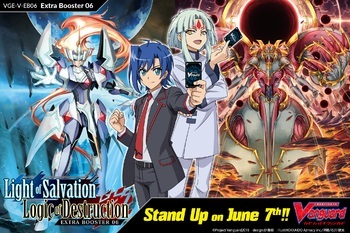 Total of 35 different cards (2x RRR, 5x RR, 8x R, 20x C) + x1 SP (Parallel) in this Extra Booster set which features original units from the Cardfight!! Vanguard Manga serialized in KeroKero Ace and Comp Ace. 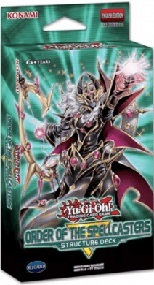 Battleraizer and Lozenge Magus (Trial Decks artworks) have been reprinted as C for this set. R and above rarities, have changed in terms of shininess.